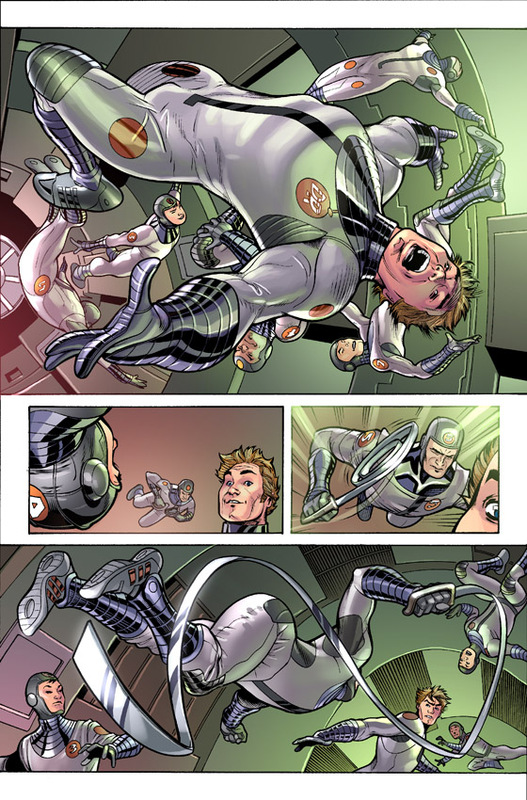 The unique lineup will allow Fraction to take the Defenders all over the Marvel Universe and tell any kind of story he wants. 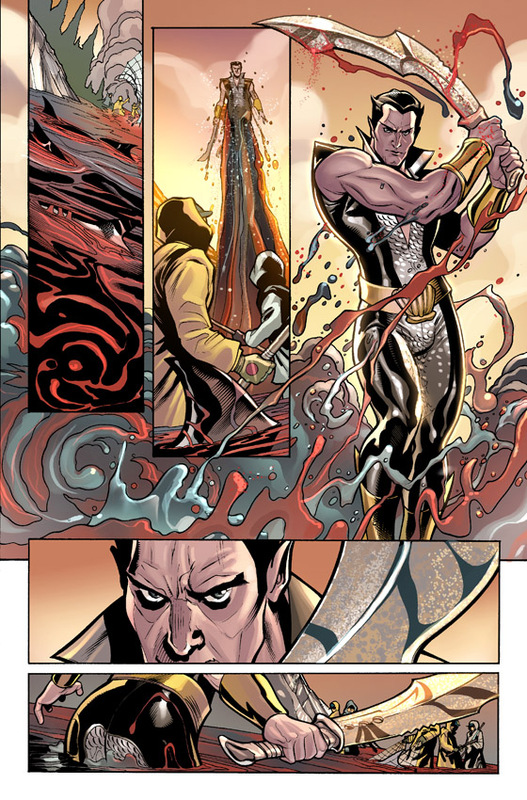 “‘Defenders’ is designed to be a series that any body that loves Marvel Comics can read. 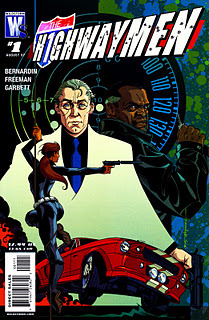 It’s lots of short arcs and self-contained stories,” Fraction stated. 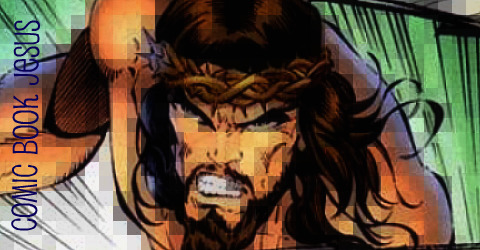 “It’s a different kind of comic for different times. It’s much more like how Marvel books used to be. We’re doing a different thing now. 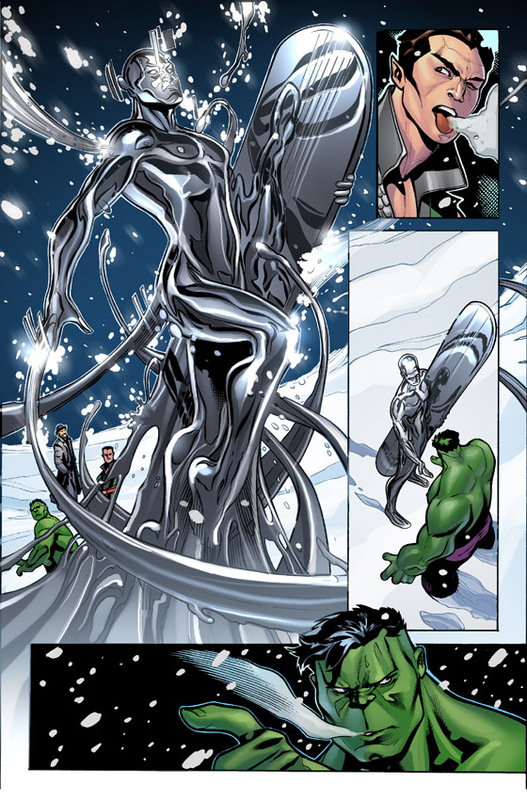 Some of that sense of awe and wonder will come from the insanely powerful foes that the Defenders must face. “I wanted to take this ghettoized team and put them in the middle of a threat to the entirety of everything. The underdogs, the weirdoes, the freaks fighting against this amazing, huge, thing. Discovering who it is and why is the story of the book, but by the time the book is done, you’ll know why everything in the Marvel Universe happened the way it did,” Fraction said. “You’ll know why a radioactive spider gave Peter Parker his powers. You’ll know why cosmic rays turned four rogue astronauts into the Fantastic Four. You’ll know why there are mutants. You’ll know why Steve Rogers was one in a million and became Captain America and not just another kid injected with an arm full of weird goo. Why it all happened, who was behind it all and what is yet to happen. 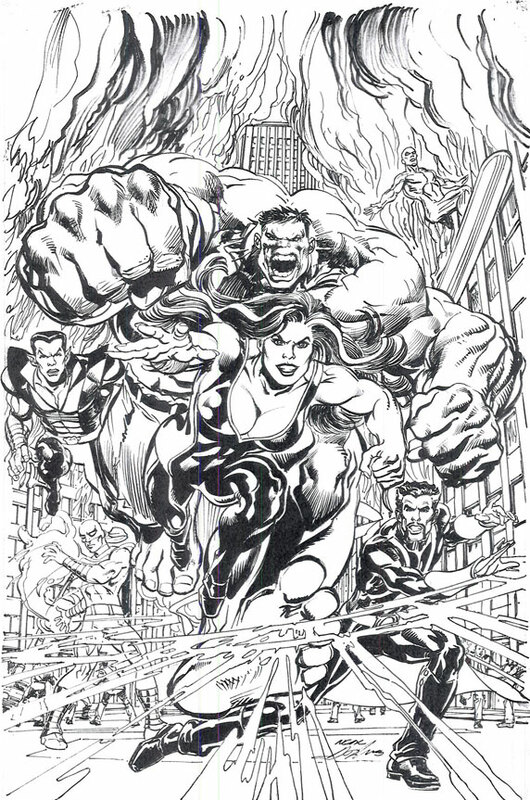 It’s ambitious and broad and covers the entirety of the Marvel Universe territory as a space, as an idea and as a fictional place we all visit from time to time. 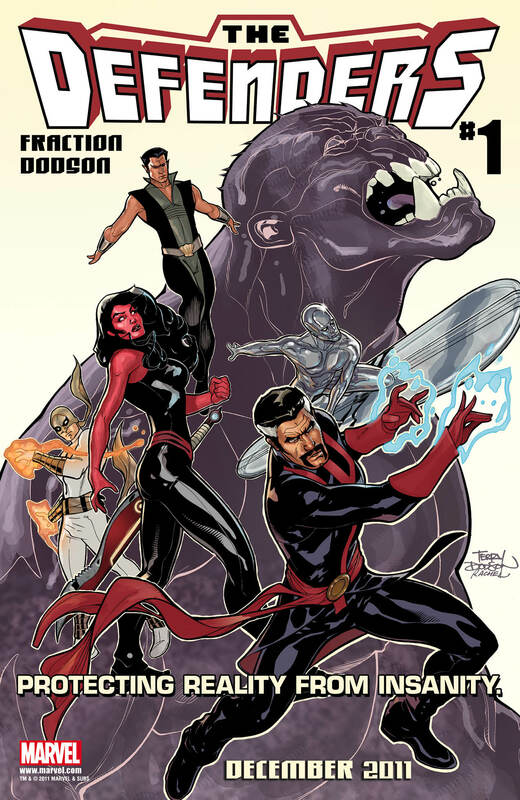 This December, all-new era in Marvel history begins with Matt Fraction and Terry Dodson’s Defenders #1. 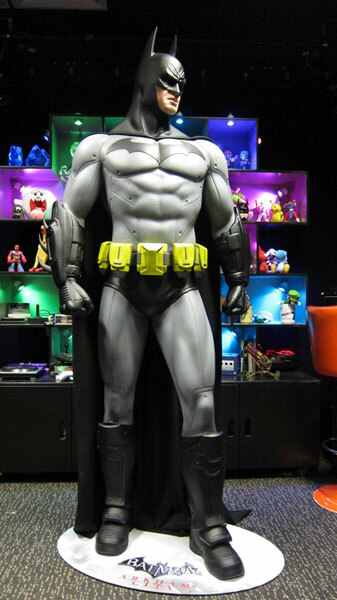 Thanks to the excellent Good Game TV series on Australia’s ABC you can win this intimidating life-size Batman statue from the best selling Arkham City game. 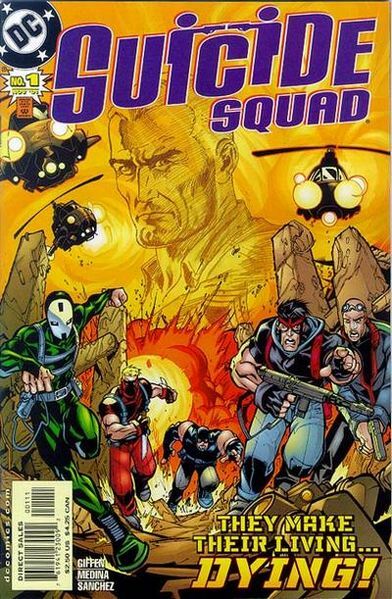 You have to create an original 1 to 4 page comic starring Batman and one of the Good Game crew, perhaps as a baddie, a civilian needing rescuing or even a potential Robin! Go nuts and good luck. All relevant rules here and the competition closes November 14. Opening in December is the 4th entry in the Mission Impossible film series based on the classic TV show. Below is the latest trailer, with a quick intro from director Brad Bird (The Incredibles) featuring his unusual pronunciation of Yahoo. This looks like even better than the last two MI films. See that great zombie print below? It can be yours for only $10 – $20, depending on where you live. Plus funds from each sale will go to support a fantastic charity. You can buy it from the site of Silver Fox Comics, the new Australian publisher of the entertaining Zorro series, or at this Sunday’s Anime at Abbotsford event in Sydney. SILVER FOX COMICS PRESENTS “SYDNEY ZOMBIES” LIMITED EDITION PRINT! 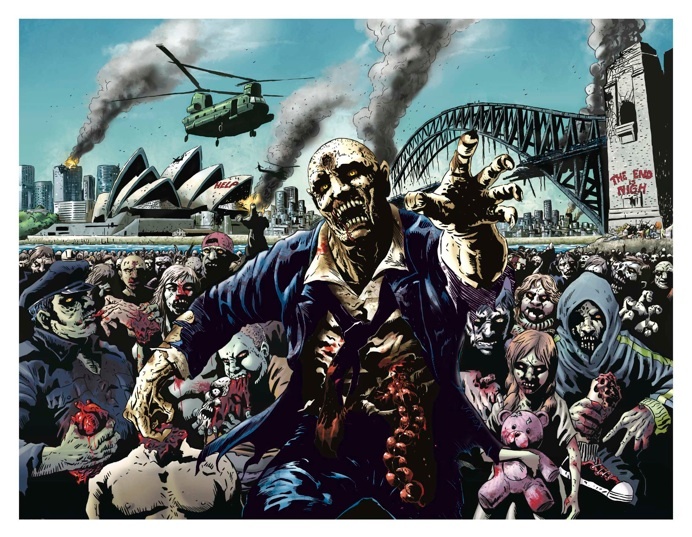 We’re pleased to present our fist ever limited edition print entitled “Sydney Zombies”! This all exclusive original is available for $10 (excl p&h) and limited to only 200 copies, and printed on matt 300gsm A3 size stock. This amazing artwork underwent over 10 rounds of changes before finalising the piece. This will also be the cover of next year’s new release “Silver Fox Presents!” We’re predicting a sell out of the complete edition so order your copy today before you miss out! EACH SALE RAISES MONEY FOR THE BRAIN FOUNDATION! We are also donating $2 from each sale to The Brain Foundation who fund research to reduce the incidence and impact of Brain disorders such as Alzheimers, Dementia, Epilepsy and Parkinsons Disease to name but a few. Prints are $10 for pickups in Sydney. For mailouts, its $10 + $5 p&h. 69 mins. 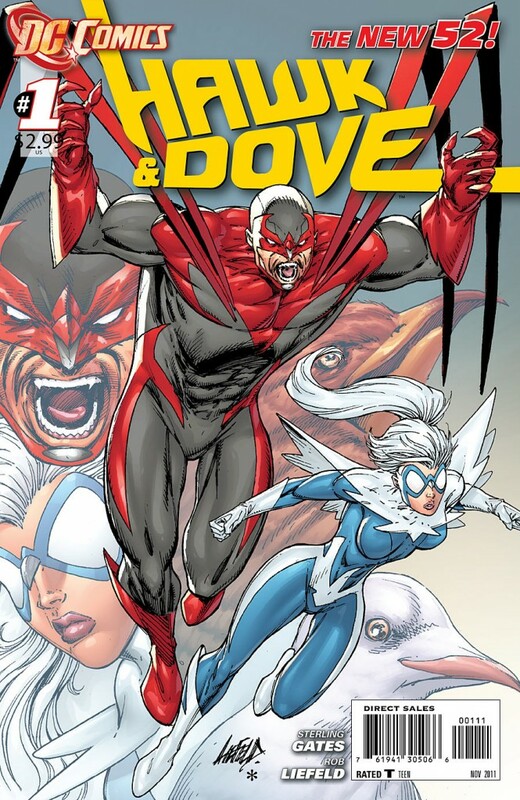 We thought we’d turn back the clock to the some old debuts from DC Comics and compare them to the current blast of new series premieres, and discuss the trouble of new superhero concepts and the business of such. Also, Beauty and the Geek, Family Matters and Bruce Willis. The Highwaymen. It’s like Red, but with added Bill Clinton and more innocent deaths. 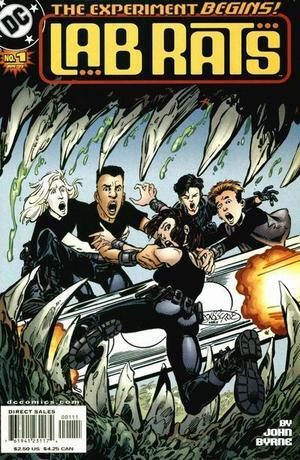 Lab Rats from John Byrne. It’s like The Matrix, or tries to be. It fails. 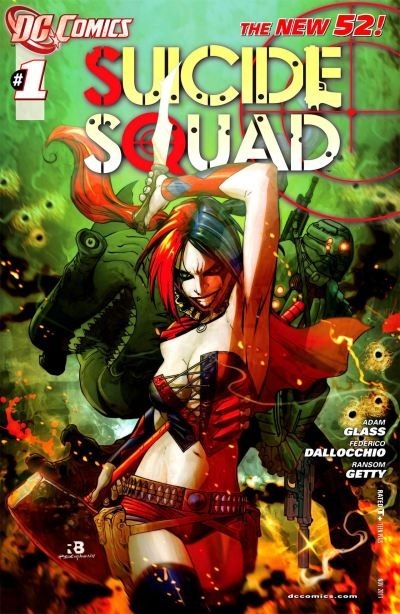 Suicide Squad – old and new. 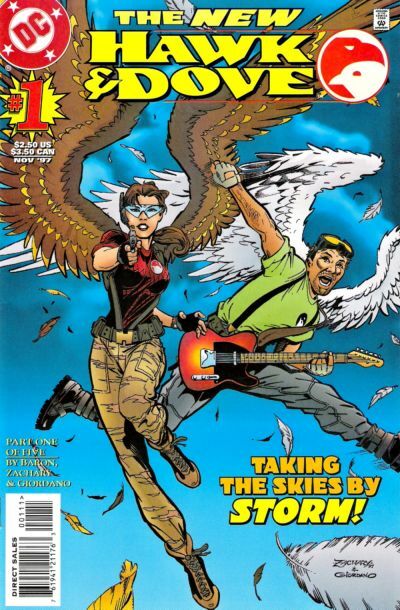 Hawk and Dove – old (hard rocking!) and new (zombies on airplanes!). Firebrand featuring exploding mechanical legs. How the storytelling and marketing approach varies between the old DC #1s and the 2011 versions. I’ve only played a few minutes of Batman: Arkham City and in short, it’s awesome. It’s about to get awesomer though on November 1 when the Nightwing (the grown up original Robin) DLC gets released. His inclusion has been teased for a while, but this is the first in-game video to be shown. 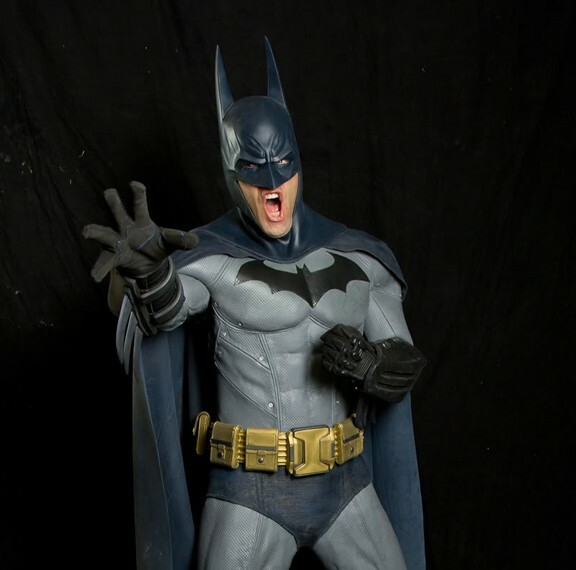 XworkZ Studios have been inspired by the game and have created the costume Batman sports in the game, (which has sold 4.6 million copies in its first week of release!) and have got it spot on. See more photos right here.